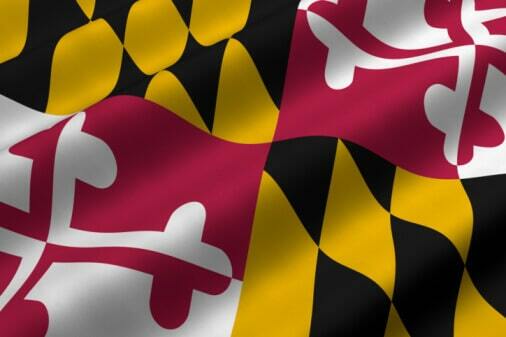 That’s the annual legislative call-to-arms for the MACPA, which is planning to play offense AND defense this year in its bid to protect the lives, liberty and happiness of Maryland’s CPAs. Here’s a closer look at the MACPA’s legislative agenda for 2016. The MACPA will push for the passage of two proactive bills that will help protect Maryland CPAs and their clients. The first is a change to Maryland’s appeal bond law that would add a $5 million cap on such bonds for small businesses. Here’s why the measure is important: Due to the increasing complexity of business today, it is not unusual to see lawsuits with extraordinarily high damages and a high possibility of questionable verdicts in lower courts. This puts Maryland CPAs in an awkward position of having to post a bond that could bankrupt or financially harm a firm or business in order to pursue the matter further in the appellate process. The bill would provide some important liability protection for Maryland’s smaller CPA firms. The MACPA helped pass a $100 million cap on appeal bonds for large businesses last year, but the small-business cap was stripped from the final version of that bill. The goal this year is to pass the small business cap. Read more here. Comparative fault: Trial lawyers frequently try to replace Maryland’s current “contributory negligence” system of determining a defendant’s liability with a system that makes recovery against a defendant easier – even when the person bringing the lawsuit substantially contributed to his own injuries. That “would increase liability as well as the number of lawsuits if it’s passed,” Hood said. “We want to stop that.” In short, Hood said, the increased cost of conducting business and the decreased productivity associated with the comparative negligence standard would, in the long run, lead to a loss of jobs, increased liability and a deterioration of the economic climate in Maryland. Read the MACPA’s position paper in its entirety. The MACPA also will work to block any attempt to impose sales taxes on professional services. “It’s showing up in a lot of other states,” Hood said. “We’ll be watching carefully for any signs of such legislation here.” Read the MACPA’s related position paper. CPAs also will watch for any bid to reintroduce non-disclosure / non-compete legislation, which was introduced and defeated in committee last year. Get further information here. Rumors also are flying that legislation to mandate paid sick leave for Maryland businesses could be introduced once again this year. Such legislation could impact many small practices and CPAs who serve smaller businesses. “We would support the Maryland Chamber of Commerce in that effort, should that happen,” Hood said. CPAs can help advance the MACPA’s legislative efforts in two key ways. The first is by attending CPA Day in Annapolis on Jan. 21. The event is free, worth two hours of free CPE, and most importantly, will help protect the profession in the most effective way possible. The more CPAs who attend, the louder our legislative voice becomes. Get details and register to attend here. CPA Day will wrap up with a special New / Young Professionals Network CPE event. Past MACPA chairs and board members will share their career advice in a roundtable discussion. The panel will include former MACPA chairs Kimberly Ellison-Taylor (now vice chair of the AICPA), Tami Bensky, and Byron Patrick, and former MACPA board member Jeff Lawson. Each of the panelists started out as members of the MACPA’s NYPN committee and have gone on to great success and leadership roles within the MACPA, the AICPA, and their own organizations. Get further details and register here. The second is by contributing to the MACPA’s political action committee. Our PAC allows us to support legislators who support our political agenda. In turn, that helps us protect the profession. Here’s how you can make a difference. Finally, keep an eye on our blog. We’ll post updates throughout the legislative session about the issues the directly impact you and your clients.